This service is unique due to its specific characteristics: small groups of people per tour, one language per vehicle and an excellent profile and preparation of the tour guides. 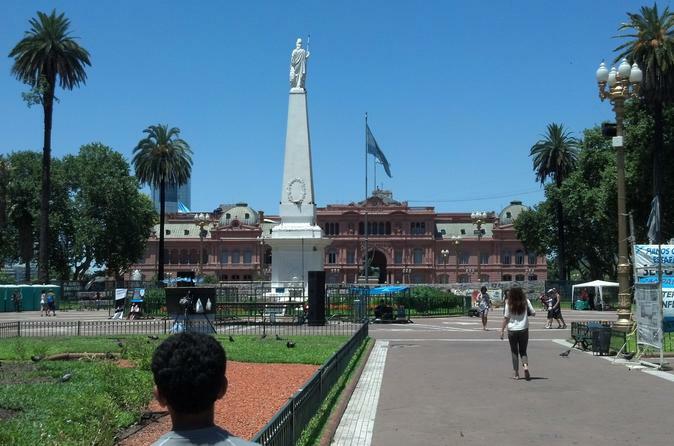 The tour is 3 hours long and visits the most important spots in the spectacular city of Buenos Aires. Your tour includes hotel pickup and drop-off. Tour is limited to 15 people. After a day of sightseeing in Buenos Aires, end your evening on a high note at a local closed-door restaurant, an exclusive dining trend that's all the rage in Buenos Aires. 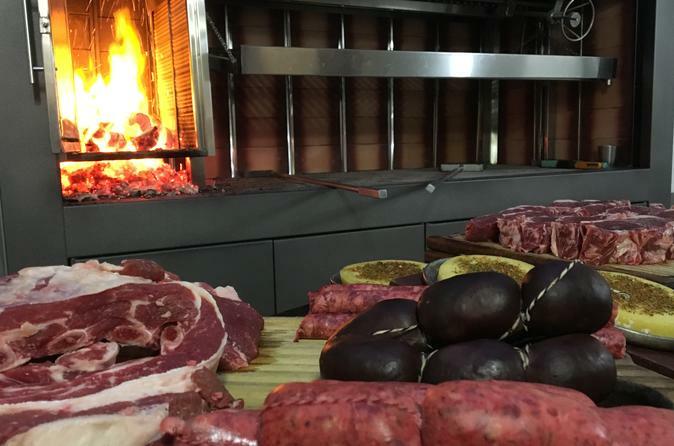 Argentina is known for its beef, of course, and you can find out why during this 5-course steak dinner at a private house in the popular Palermo district. This authentic Argentine meal is prepared on the grill by Chef Luis, a native Argentine with more than 15 years of experience. Known as an ‘asado,’ this ritual of eating a barbecued meal with a group of friends (or fellow travelers) is a piece of Argentine culture that you don’t want to miss. Wine pairings are included! You simply can't go to Argentina without sampling the local wine, but if you can't make it up to the Mendoza wine region, let Mendoza meet you in Buenos Aires! 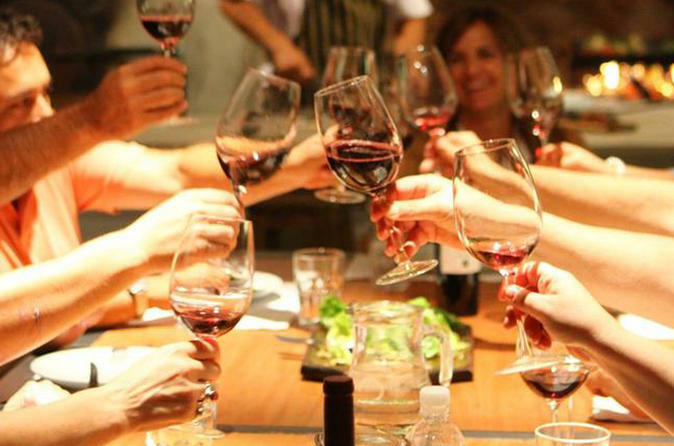 Take part in this small-group wine tasting and sample some boutique wines of Argentina. Each wine will be accompanied by a traditional Argentine tapas plate, introducing you to the divine Argentine palate. 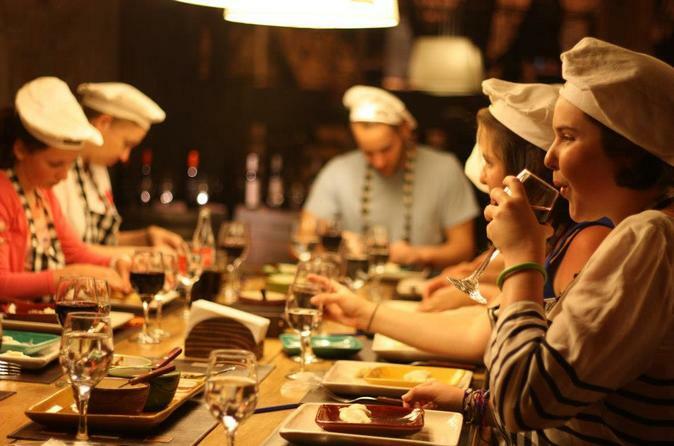 This small-group tasting is personalized and allows you to see Buenos Aires like a local and without a big tourist group. Discover Buenos Aires’ legendary street art on a three-hour graffiti tour. You’ll see a different side to Buenos Aires, meeting the city’s artists and visiting local galleries. Enjoy a personalized experience on this small-group art tour, limited to 18 passengers. Take this 5- hour, fully private tour to visit all of the major sights of Buenos Aires. Your tour guide will take you step by step through the history and culture of Buenos Aires. The tour involves driving to all the major sights in an air conditioned car and taking brief walks around each location. 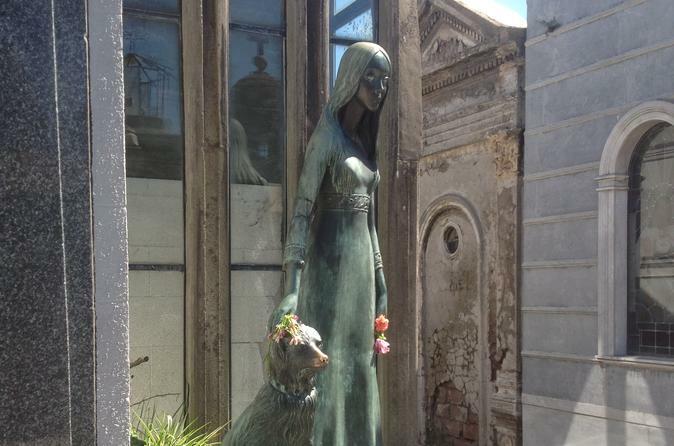 You will visit all the major sights including the cemetery at Recoleta, the Casa Rosada, and La Boca. Enjoy a small-group tour from Buenos Aires to San Antonio de Areco and have a chance to see the pampas as you drive there. 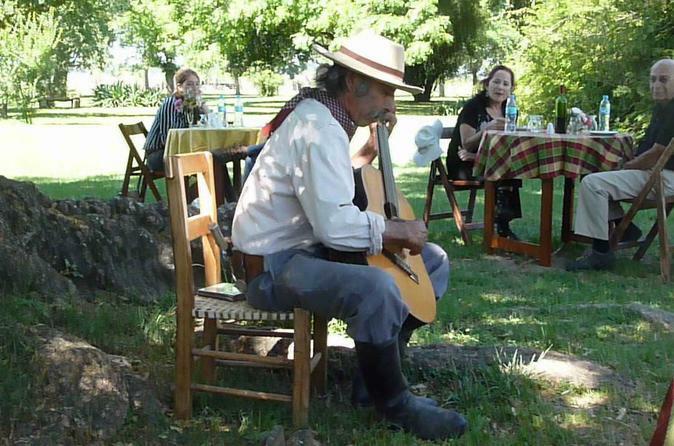 You will tour the village, visit a estancia, and see a folklore show. Your tour includes lunch, a guide and transportation. 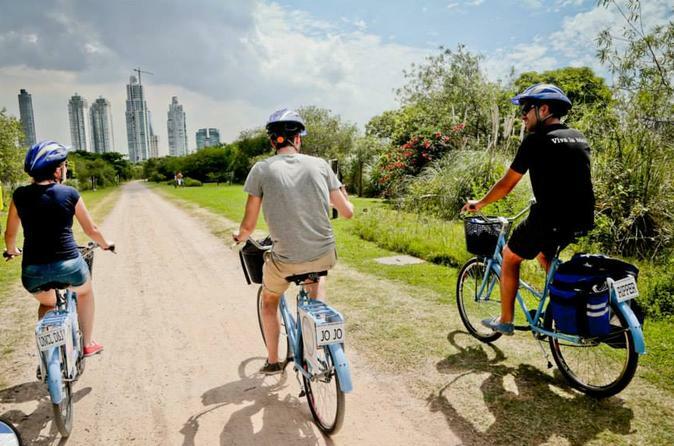 Enjoy a 4-hour bike tour through the South areas of Buenos Aires and discover wonderful places. 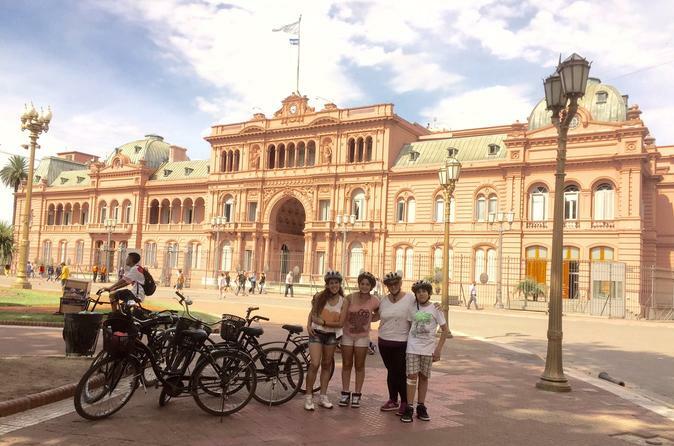 This is a great bicycle ride around the most historical areas of Buenos Aires. 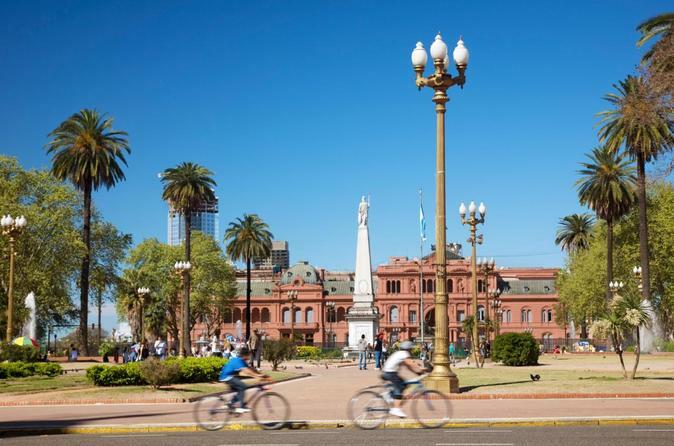 Bike through the city, taking-in the highlights of Buenos Aires. Learn about its history and enjoy the parks and monuments. Discover this amazing city on this 3.5 hour guided tour. 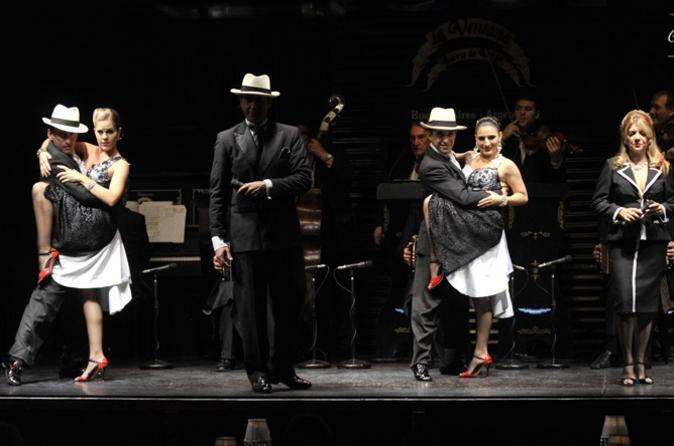 You can’t fully experience Buenos Aires, the city where the tango originated, without enjoying a live tango show! During this fantastic night out, enjoy a dinner of international cuisine (optional) followed by great entertainment from professional tango dancers at one of the most historic venues in Argentina, Viejo Almacen! 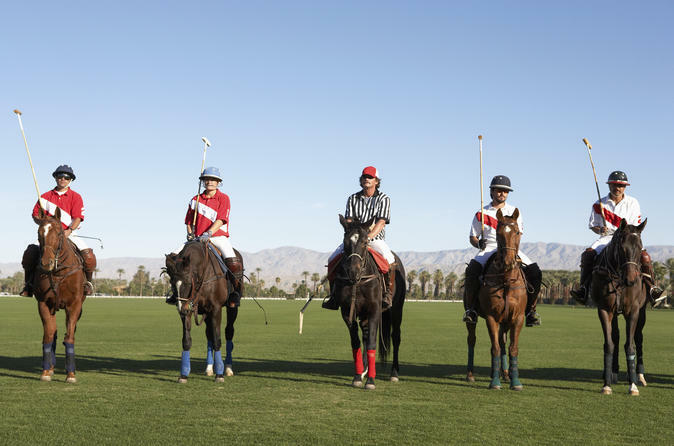 Immerse yourself in the sport of polo on a full-day tour in the Argentinian countryside. Travel from Buenos Aires with a friendly guide to a posh country club, where you're welcomed with a snack and wine as you learn more about the game. After, watch a high-energy match. If you're inspired by what you see, climb onto a horse and have a go yourself in a lesson for all experience levels! Add a hearty barbecue lunch, washed down by Argentinian wine, plus time to relax with a swim or a stroll for a day you’ll never forget. Take a 4-hour Buenos Aires city sightseeing tour with a private guide. This tour will cover the city's historical evolution, its customs, important and picturesque neighborhoods and famous landmarks. You will learn about the main components of Buenos Aires culture leaving you with a deeper understanding of the city's peculiar idiosyncrasy. Transport and entrance fees are included. This tour is particularly recommended for those who love nature. It is very unique due to the services and characteristics that it offers. 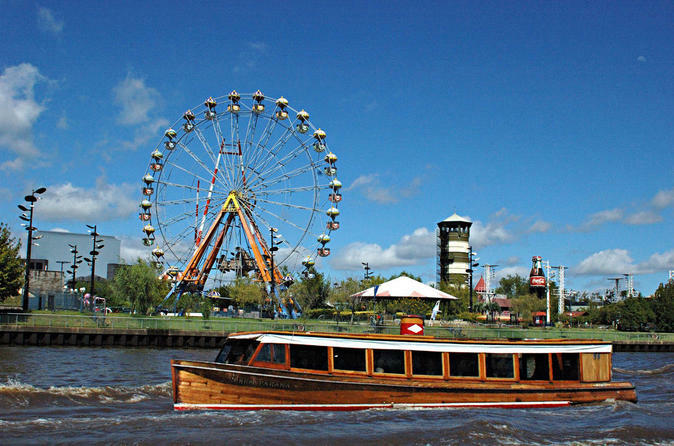 It combines the navigation of Rio de la Plata and the beautiful Tigre River Delta in a Premium boat (1.5hs). 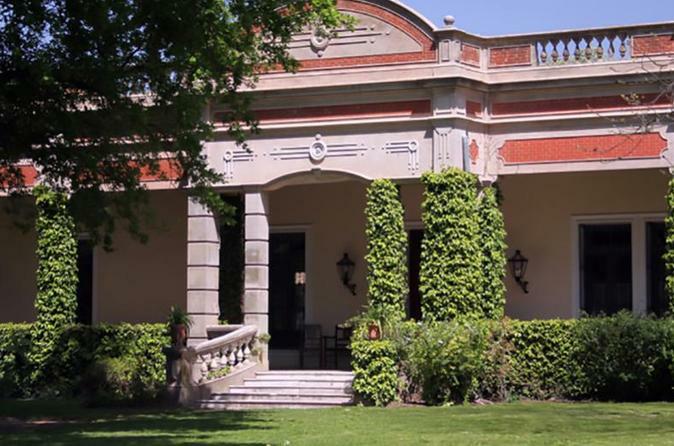 The first portion covers the North of Buenos Aires and after arriving to Tigre and having a little snack you will get to know San Isidro's Old Town before heading back to your hotel. Learn the culinary secrets of Argentina’s regional cuisine during a 4-hour cooking class with wine in Buenos Aires. 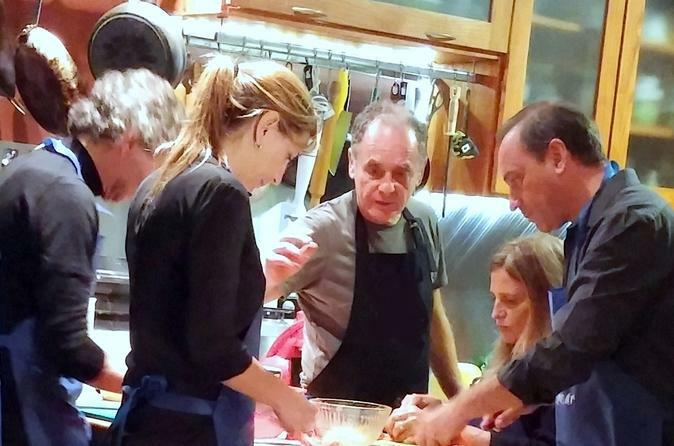 Enjoy the kitchen of a local cooking instructor where you’ll learn to prepare an appetizer, main dish and dessert as you hear about the culinary heritage of the ‘Porteños’ (residents of the port city). 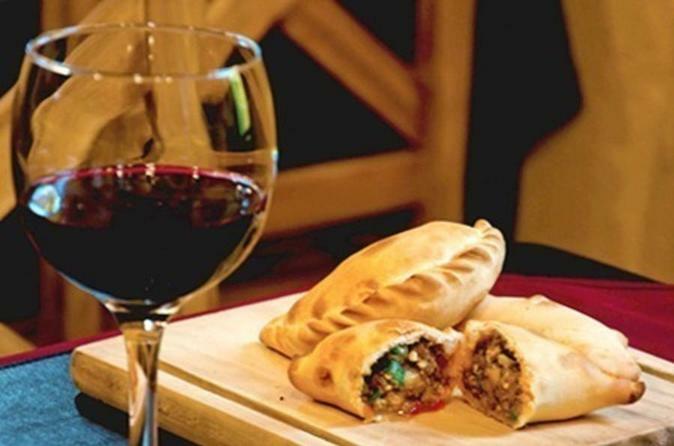 At the end of your class, taste your creations along with a glass of argentine wine! Numbers are limited 12 people and the classes are private, ensuring an intimate experience with a small group of like-minded food lovers. 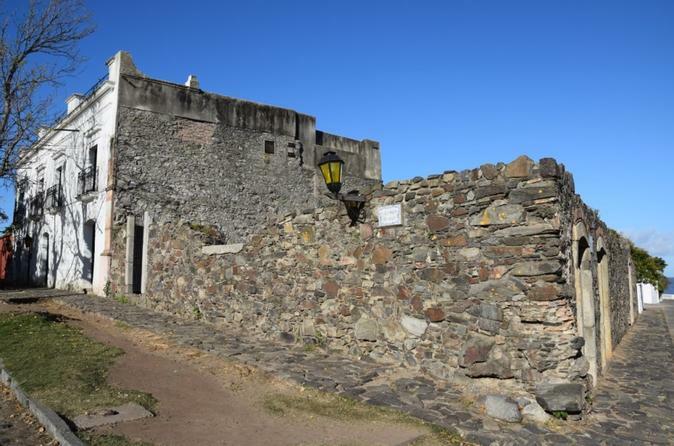 Located on the opposite coast of River Plate lies the ancient city of Colonia del Sacramento. On this private day trip, you will get to know its charming cobbled streets, flowery balconies and the astonishing colonial layout. Visit this enchanted destiny for nature and history lovers. 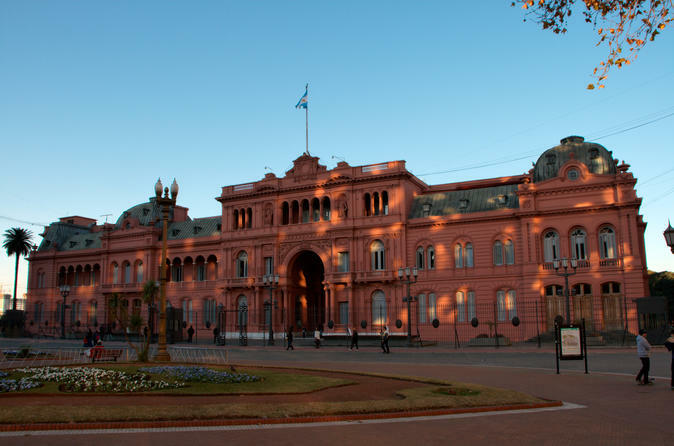 In this tour you will bepicked you up from your hotel and taken on an historically based tour of the city, where you will get to see how Buenos Aires developed throughout the years since its foundation. 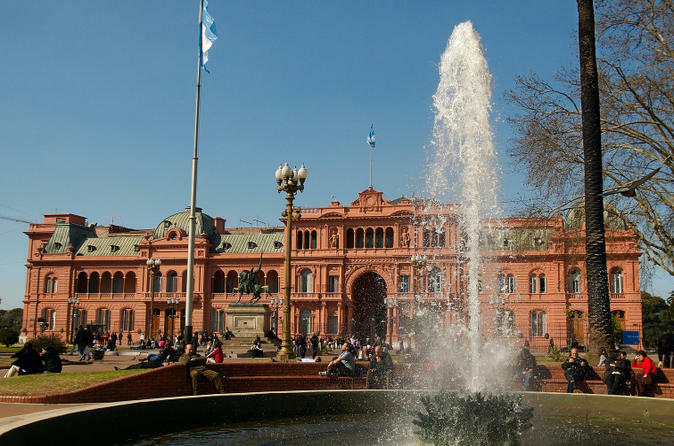 This is the most complete city tour of Buenos Aires and it will make you feel the essence of both historical and popular places and neighborhoods of the city. By using public transport (bus and subway), you'll be a part of this amazing metropolis, having a unique and real daily life experience. Explore downtown Buenos Aires also known as Microcentro, walk through San Telmo, then go to the famous Caminito street of La Boca and end the tour at Recoleta neighborhood. 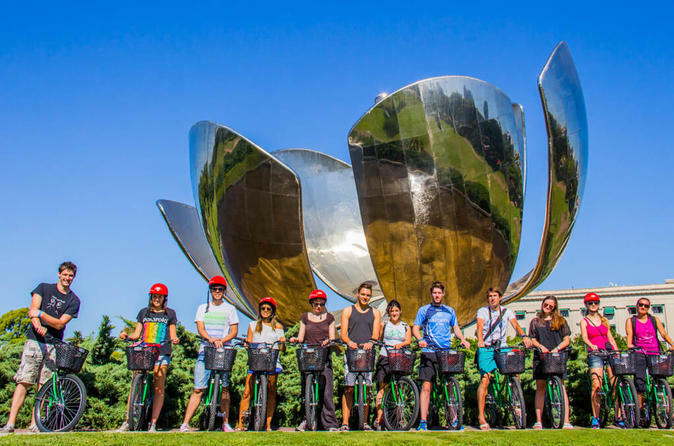 This full day bike tour will take you through Historic & Contemporary neighborhoods such as La Boca, Caminito, Puerto Madero, Retiro, Metalic Flower, Recoleta Cementary and much more. 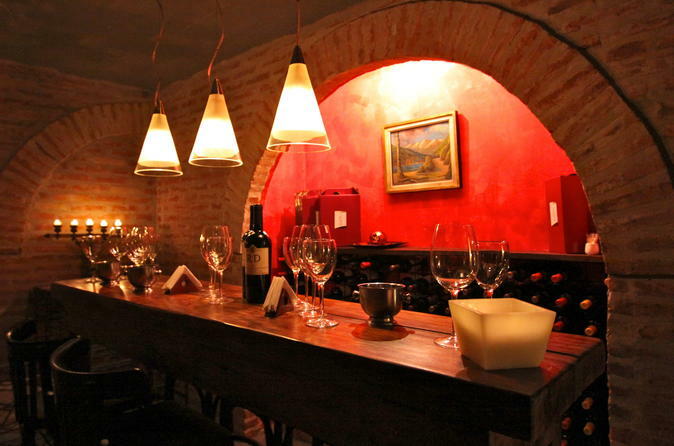 Slip into a hidden cellar in Palermo, Buenos Aires’ hub of speakeasies and secret cafes, for a memorable wine tasting. On this 3-hour guided tour, get to know the grapes of Argentina, with a focus on its famous malbec wines. Nosh on ‘picada,' Argentine hor d'oeuvres, as you sample malbecs and other varietals during a tasting customized by the on-site sommelier. Afterward, try fernet at a local bar. This tour tinged with cloak-and-dagger is capped at 12 people, ensuring personalized attention. 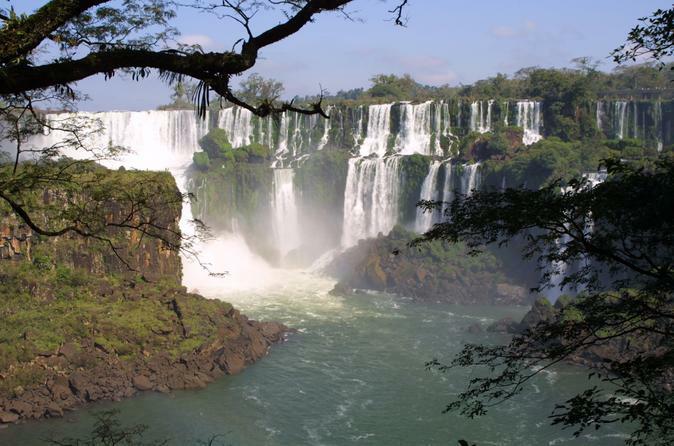 Discover the birthplace of Argentina. 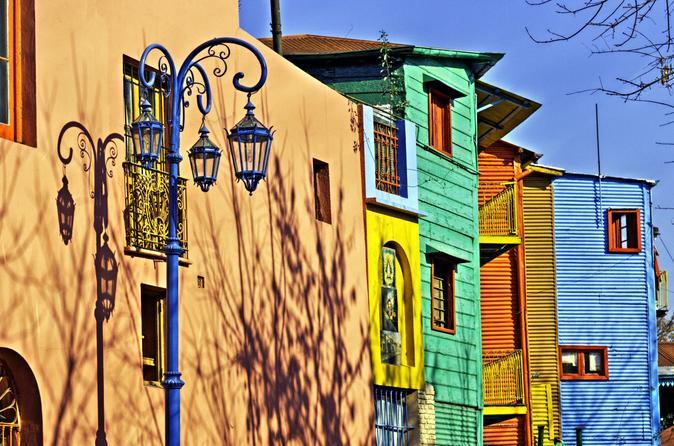 Along the way of this bike tour we visit colorful La Boca, historical San Telmo and wealthy Puerto Madero. 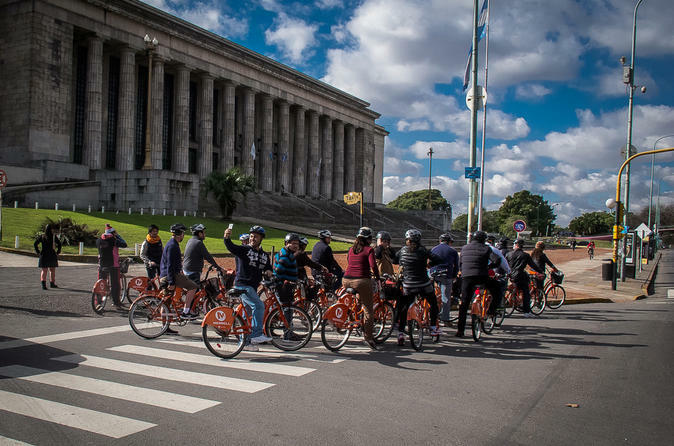 Bring your smile as you enjoy a bike ride with an experienced and professional guide who will show you Buenos Aires’s finest attractions, safely and at a comfortable pace. We feed you at a superb local hotspot, meat lovers to vegetarians all leave Satisfied. This tour will make your time in this great city as exciting as possible. It is a great introduction for first-time visitors and great for all riders with some city confidence. You will have a fantastic day out in Buenos Aires. 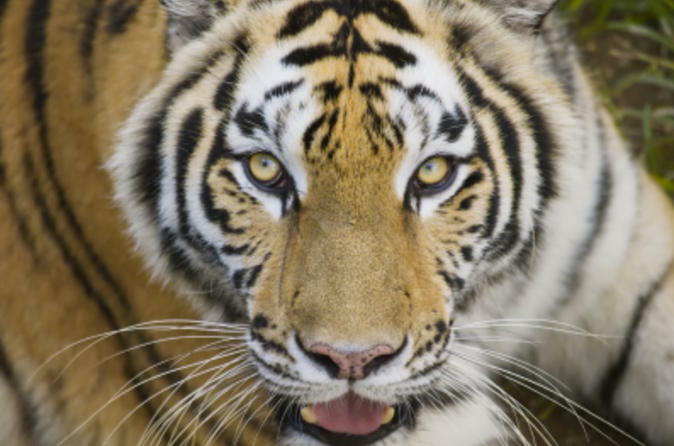 Spend a day with animals on this day trip to the Temaiken Zoo from Buenos Aires! See animals from all over the world and learn about their habitats and ecosystems from your bilingual guide. Visit all of the park’s three zones -- Africa, Asia and South America – and see native animals from each continent! If you're traveling with kids, this is the perfect introduction to wildlife! 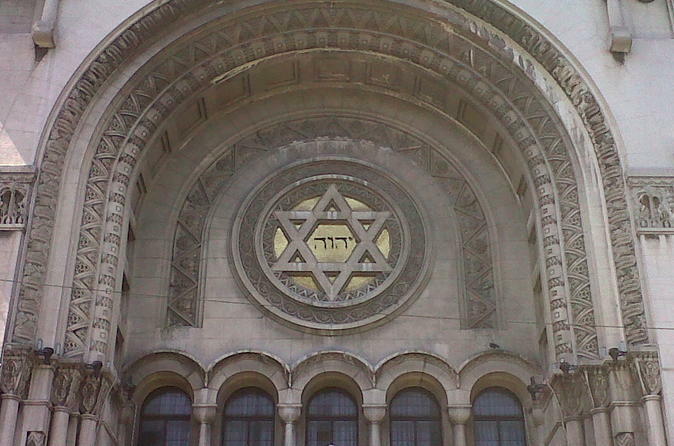 The Jewish community in Buenos Aires is the third biggest in the world, and has left its mark in the city. 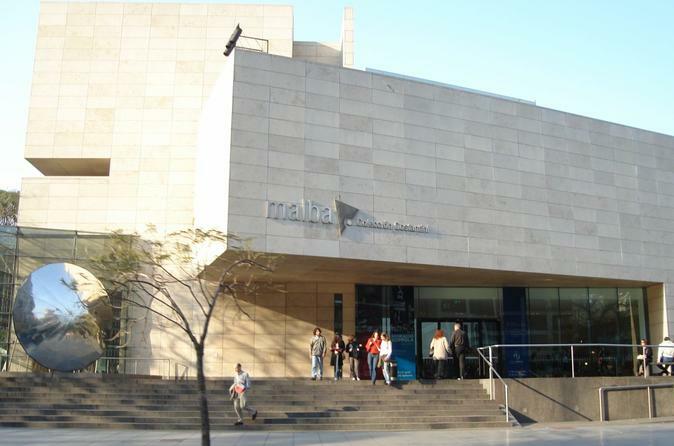 Along this interesting private tour, you will visit the places that have been historically associated with the community, that are nowadays part of the city’s cultural heritage. 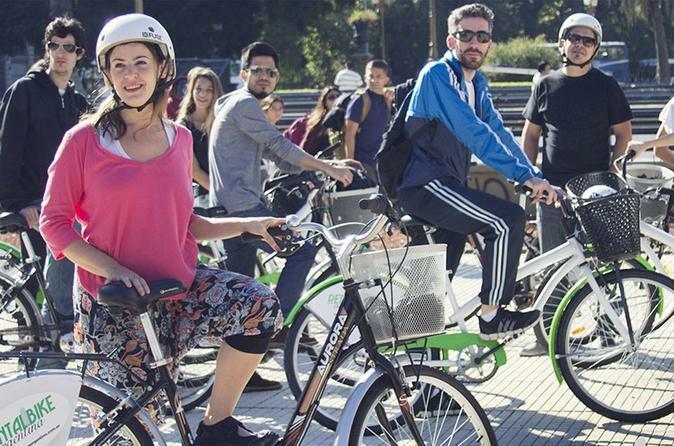 Enjoy a 4-hour bike tour through the north areas of Buenos Aires and discover wonderful places. 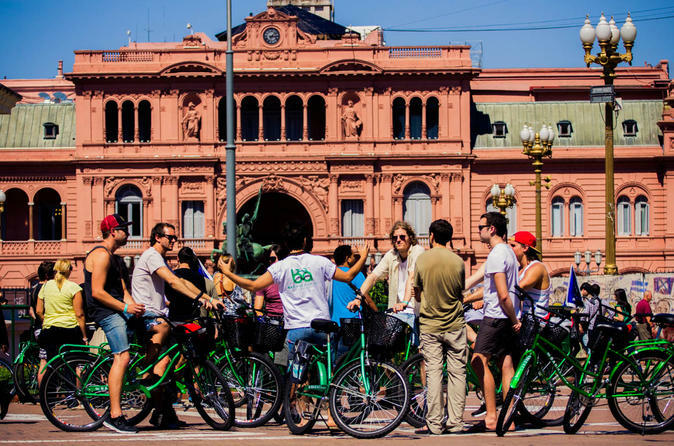 This is a great bicycle ride around some of the richest parts of Buenos Aires. Discover the beauty of the European architecture style buildings and the majestic palaces and mansions along the tour. 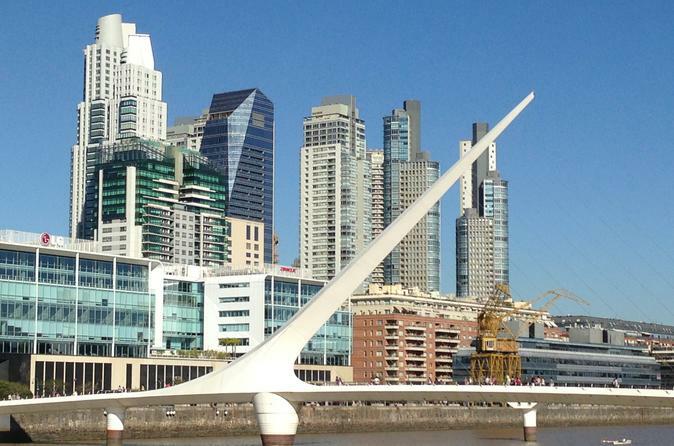 Get ready to understand why Buenos Aires is called the "Paris of the South". Immerse yourself in one of South America’s cultural highlights with this 7-hour private city tour by car. Your professional guide has a complete itinerary that will provide you an introduction to the city highlights and off the beaten track points as well. Explore La Boca, San Telmo, Plaza de Mayo, Palermo or Recoleta Cemetery, and shop for treasures at markets and boutiques along the way. This private tour offers a flexible itinerary that can be customized to suit your preferences. Enjoy a wonderful dinner and tango show which recreates an imaginary cabaret of the thirties, with the sophistication and glamour of that time. It features an orchestra with 6 musicians, more than 20 artists on the stage and the only one singer who sings like Carlos Gardel. You can choose to add a private city tour and enjoy a thorough tour of Buenos Aires and its main landmarks. 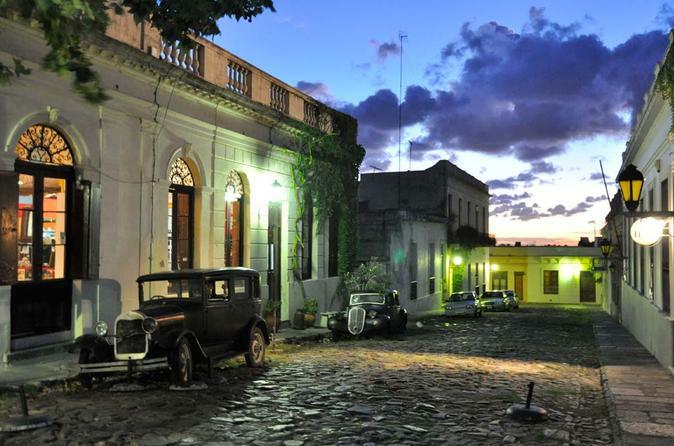 Enjoy a one-day visit to the small but picturesque town of Colonia, Uruguay. 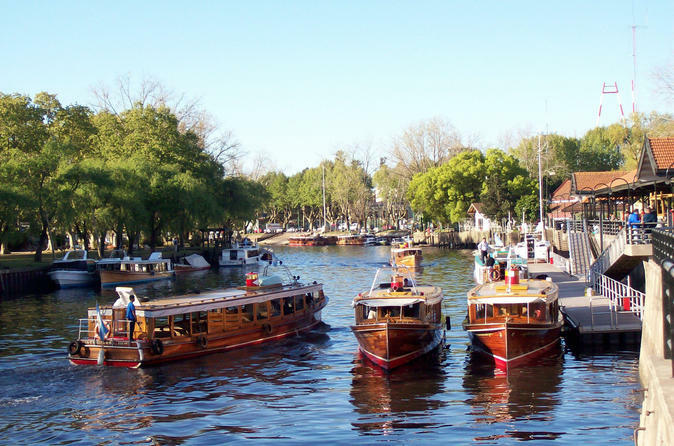 The tour includes a fast ferry, a 2-hour walking guided tour in Colonia with a professional guide and transfers in Buenos Aires and Colonia. The most palatable Argentinean cuisine within reach! Although pretty informal, this food walking tour will take you through one of the most elegant and expensive residential areas of Buenos Aires. Here, you will visit significant attractions, taste typical local appetizers and one of the top five cuts of beef, along with a glass of Malbec wine. A fast course in Spanish to deal with daily situations is also included (upon request). 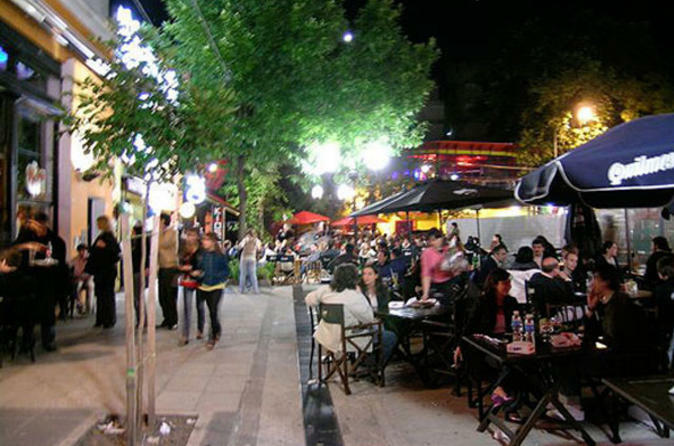 Buenos Aires thrives at night - all year long! Explore distinct neighborhoods of Buenos Aires at night with a friendly private guide, who will show you how to navigate the city like a local! Enjoy typical Argentine fare as you dine on local dishes for dinner, and then walk it off with a stroll through Buenos Aires streets teeming with nightlife. Travel on foot and by private car, with a final stop for a traditional nightcap, tea or ice cream at a local establishment frequented by ‘porteños’ – inhabitants of Argentina’s famous port city. 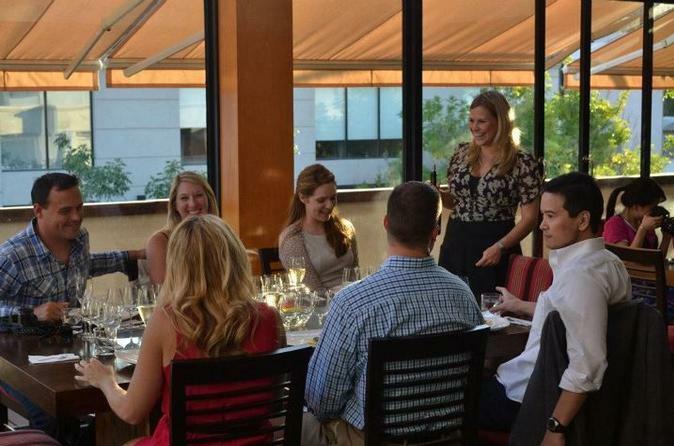 Enjoy an exclusive and very fun 2-hour wine tasting at our one-of-a kind subterranean wine cellar. With our international sommelier you will experience Argentina’s best boutique wines, including the local favorites: Malbec and Torrontes! 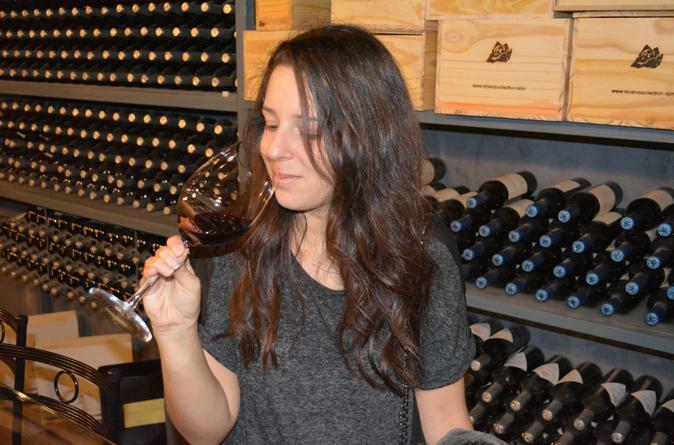 Your will discover Argentina’s wine regions and learn which wines and food to pair together. It is not about tasting wine and food, but experiencing them! Join this wonderful day trip to Tigre and the Parana Delta, the other side of Buenos Aires, to take you away from the agitation of the City. 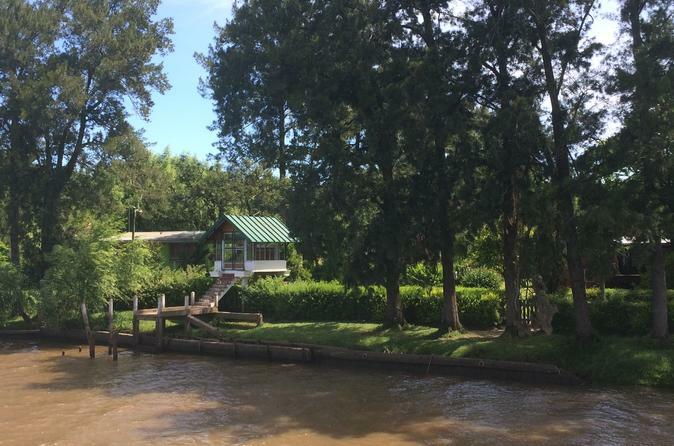 Enjoy a day trip to Tigre and sail across the Parana Delta for one hour. Have a delicious lunch and explore the customs, traditions and market in Tigre. Your tour includes hotel pickup and a professional guide. Unique, private, and carefully planned cooking lesson in either modern local, or international cuisine, in Buenos Aires! 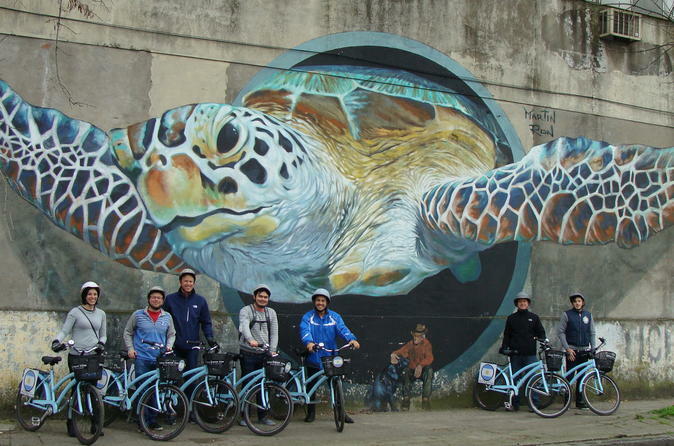 The Hidden Graffiti & Urban Art Tour is a strictly off the beaten path tour that takes you pedaling through the hidden southern neighborhoods of Buenos Aires, La Boca and Barracas, to find the city’s most impressive street art. 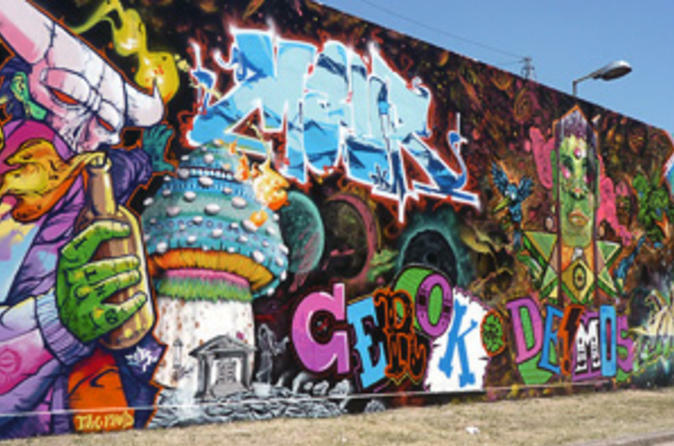 Far more than strictly urban art, this tour also examines the cutting edge design district (including the Metropolitan Design Center) and surrounding vibrant neighborhoods, contextualizing it with historical and cultural background. You will learn about the context, and historical background that led to Buenos Aires becoming one of the world capitals of street art. You will see the world’s largest mural by a single artist, a trait that won it a place in the Guinness Book of World Records. 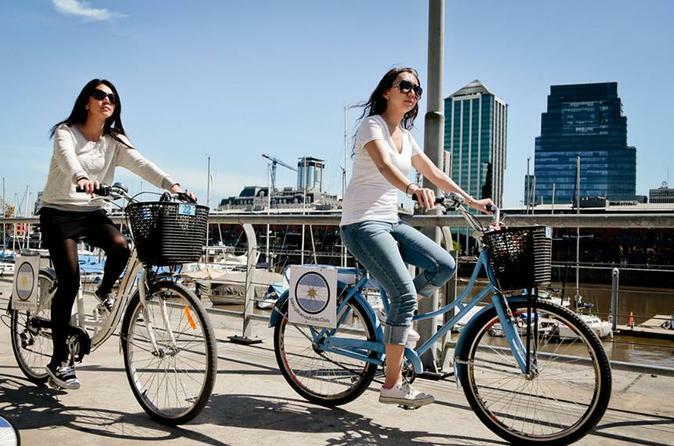 *(Please note that this tour requires you to be confident cycling in urban settings; it is far off the beaten path and not in touristy areas, and in some cases may approach precarious parts of the city).